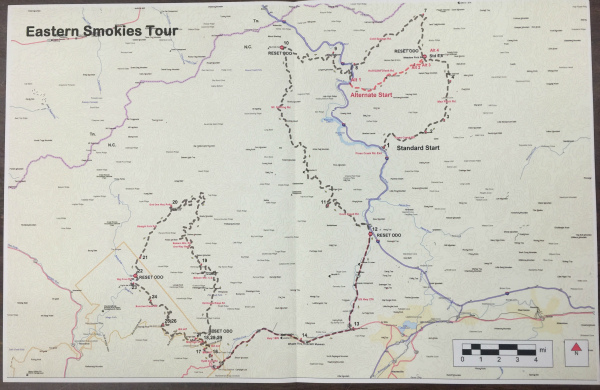 This tour of the eastern side of the Great Smokies National Park has quite a variety of roads and terrain to challenge the rider. There are two options for the start of the route depending on your skill level as well as bike type. The ride is a great way to see some scenery that the average Smokies visitor would miss. Total length is about 99 miles with about 48% dist and 52% paved. Due to the rugged terrain on parts of the ride, I would allow about 4-5 hours to complete.